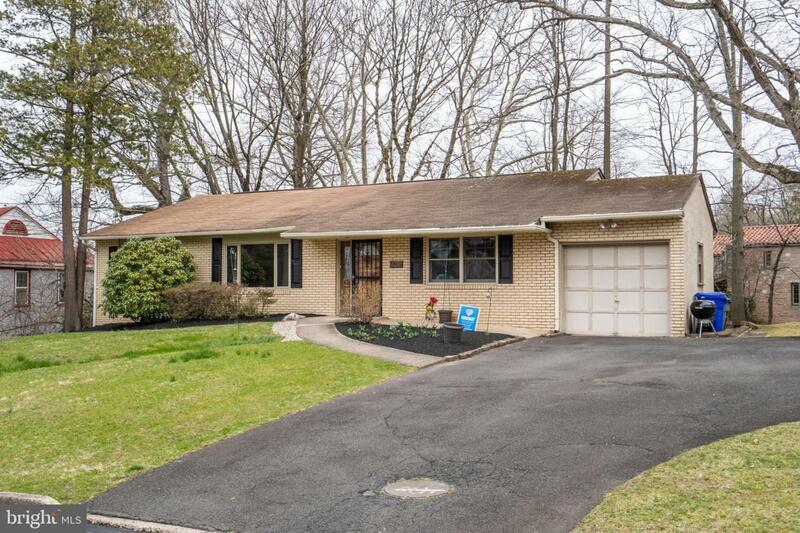 Incredible opportunity to own this desirable 3 bedroom, 2 full bathroom Rancher on a quiet, wooded Cul-de-sac lot. Enter through the front porch and be greeted by neutral paints, hardwood flooring and a gorgeous sunken living room with fireplace. 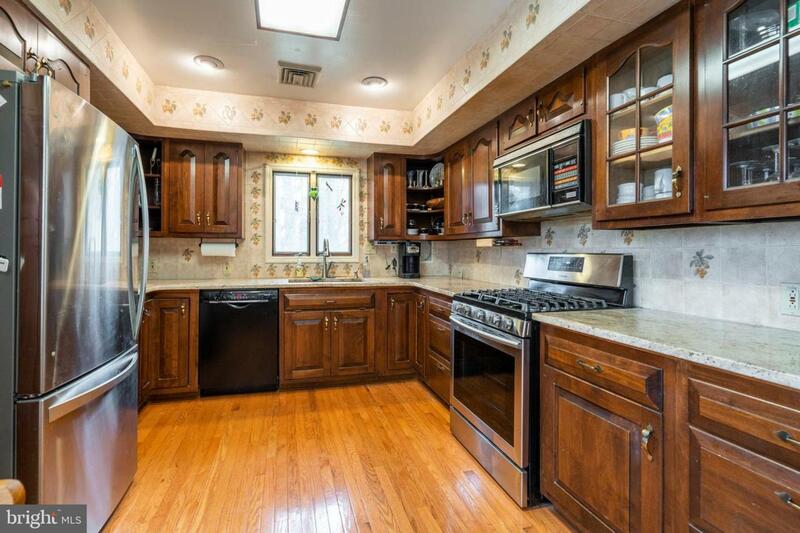 Your kitchen is spacious and boasts walnut cabinets, granite countertops, tiled walls and enough space for a kitchen table! Your formal dining area is complete with sliding glass doors to a picturesque backyard deck for all your entertaining needs! Your master bedroom is bright and airy and has an en-suite bathroom. Two additional bedrooms and an upgraded full hallway bathroom complete the first level. The basement is enormous and the ceilings are high enough to finish, adding an incredible amount of storage or additional living space. You will also find your laundry area here and additional plumbing to add a 3rd bathroom. 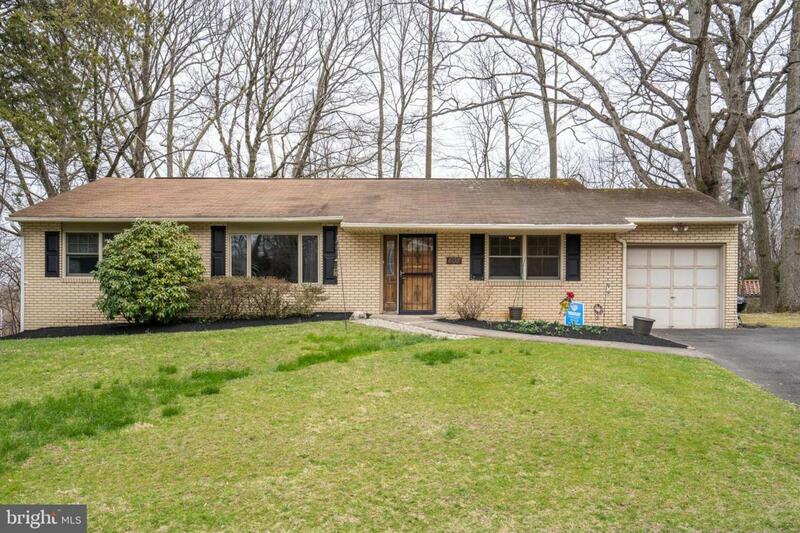 The home is complete with air-conditioning, Newer heater, and attached garage. 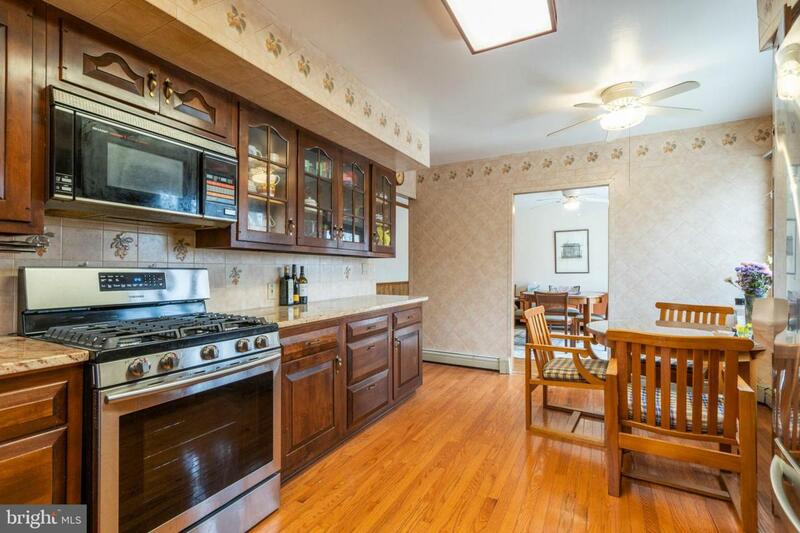 Only minutes to nearby train stations, major routes, shopping, restaurants and 20 minutes to center city. This one won't last!